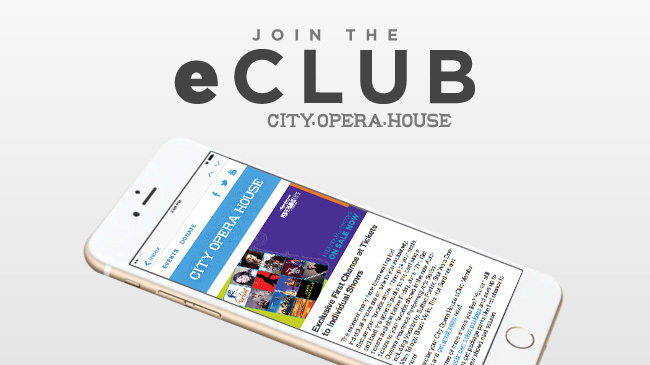 Join the City Opera House eClub to receive early notice on new shows, special offers and advance ticket opportunities for the best seats before the general public. Plus, stay up to date with the monthly ‘What’s Happening’ email. It is free to be a friend of City Opera House.